Scenario is now updated for 0.17. It's stable at this point and has several new features. 1. Option for vanilla type spawn system. 2. RSO removed - no more reliance on RSO for balance. Vanilla enemy spawning should be well balanced now. 3. Config file improvements. Create any of your own starting resources, even modded. Easier map-gen-settings setup. 4. Option for randomizing the starting resource placement a bit. 5. Info button/GUI allows admins to ban or restart players if required. 6. Fixed some old outstanding issues like abandoned bases not being fully deleted sometimes. To use it, you just put the scenario into your own scenario folder. I recommend creating a new game via single player first to generate a map. Save that and host using the save file. You don't get map generation options if you skip that step and immediately start a multiplayer game I think? 1. When you spawn, you can choose to join the main base, spawn somewhere else, or spawn somewhere else on your own force (team). 2. All teams are neutral. I'm only interested in PvE CooP. 3. You can choose a near spawn or a far spawn. Near spawns you somewhere on the edge of the currently generated map. 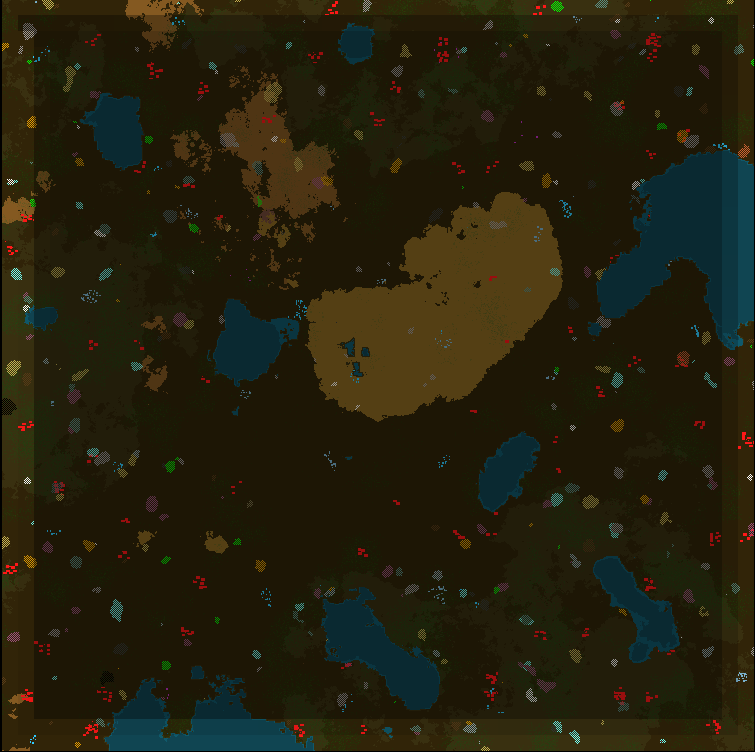 Far spawn puts you 1000-6000 tiles away from the center. 4. Each individual spawn has the basic resources (water, trees, coal, stone, copper, iron, oil). Enough to get you started and all the way to trains for sure. 5. When you die, you can choose where you want to respawn (either the main base, or your individual spawn). 6. All spawn points are created with safe areas around them. I turn off enemy expansion so that safe areas stay safe for the most part. It seems to have gone over pretty well on my server. I host a dedicated server most of the time, some of you may have joined my previous vanilla servers. So far I've gotten pretty good feedback. Made some changes to improve things (like adding the gravestone soft mod) by request as well. Let me know if you have any questions. I just wanted to share this scenario that I've been having quite a lot of fun with. I think it's stable enough to share (I've hosted 2-3 games spanning about 50+ hours using this scenario). Last edited by Oarc on Sun Mar 31, 2019 4:18 pm, edited 2 times in total. the senario seemt to work for the most part. Could i ask you Oarc how to get rso into a copy of the base freeplay scenario? ive been successful at transferring your choice of starting materials from the oarc_utils.lua to my own scenario but cant seem to get rso installed to. The best way would probably be to copy what I did from my scenario. You should just be able to include the same files and make sure the chunk generate event is called correctly. There is the PvP One now that comes with the base of the game. Quite decent can play in teams or enemies and lots of control really nice gui/everything build into game. Downside is it has no enemy controls and I thought it use the base maps spawns but it does not seem to. So this one might be still wanted quite a bit. It's still active and working. Most recently I added the option to join different teams which also have shared vision. A bit of bug report. We are 60+ hours into a game, and just noticed that we can't research the rocket silo (probably due to the Frontier Silo enabled at start). When the research ends, it doesn't register and it's still in the research list. I tried to add the research using command (/c game.player.force.technologies['rocket-silo'].researched=true ) but still same problem. Is there any way to disable the rocket silo objective and re-enable the ability to research it ? Or maybe a way to extract the map and factories layout already built and import them into another game without the frontier silo ? (we do not want to loose all this work =) ). As a workaround, we used /c game.player.force.recipes['item'].enabled = true to add rocket-silos and all components given by the research. 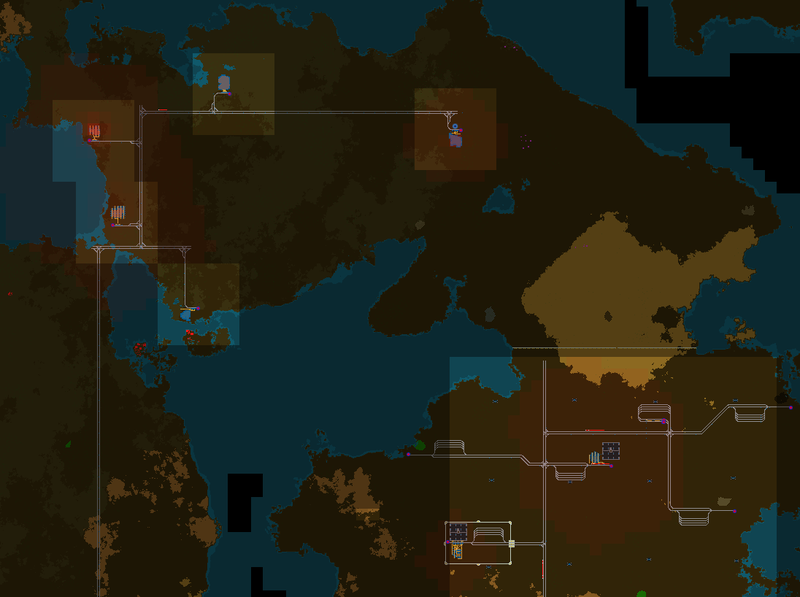 Bit with bobs/rso installed they are spread out like your scenario is with vanilla ores. Did you install RSO as a mod or copy it into scenario? RSO doesn't work properly without data stage changes and that would show up as normally generated ores - disabling them requires data stage modifications. Well the Scenario comes with RSO so I did not install it again or copy anything but his lib files (that include RSO). I have a feeling bobs did not exist or does not work correctly. There is no way for scenario to come with RSO since RSO requires data stage to work properly atm. So you'd need to talk to owner of this RSO copy. And it would be good if person doing it would change the name to not cause confusion between mod and scripts. I previously used an OARC scenario in my multiplayer server, however recently when trying to add the scenario again i'm getting a error - this is when i'm trying to generate the world after adding the scenario and utils. I've followed the instructions as on the GITHUB page, i have Windows 10 - has anyone else had these issues? The error is "Error while running on_init: LuaForce doesnt contain key set_friend." I've checked the file it calls can i can see the entry is there so i am unsure why i am thrown the error.